And, as I reflect on 2018, my attention is drawn to what treats are in store for 2019 both in terms for the music and for Reel Music. 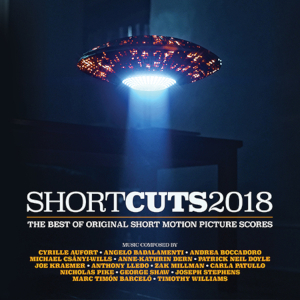 Oscar Fogelström’s score for the Philippines supernatural thriller, Aurora, tops the category of overall score of the year because of a number of things. Firstly, the choral work in the score, particularly in the opening and closing tracks, is impressive. The sound is so immersive you could be there at the recording and the melody is so beautiful that it’s a piece of music that will stay with me for some time. Opening with the choir singing a capella, the power of the piece is heightened with the introduction of a small orchestral accompaniment for the track “Rise Up”; a surprising conclusion to the score as I was expecting some sort of dissonant cacophony (this was before I had heard the album and was just perusing the track names). Also, dissonance features strongly in Aurora but the dissonance is somehow bedded in melody. Maybe ‘melody’ isn’t the correct word to use, maybe it’s that the dissonance is easily listenable that it almost sounds melodic? Unusual orchestrations, trilling brass figures, glissandi are all mixed with support from the choir which has now taken on a different feel from that which was heard in the opening cue. Personally, I love the way the composer uses the orchestra to create such an impressive soundscape. Although ominous and unsettling, solo strings offer a hint of humanity at various points in the score. Fogelström is always doing something interesting with the orchestra: where there would be tense scenes populated with ‘filler music’ (e.g., ambient soundscapes), here the composer achieves tension but keeps the music listenable. 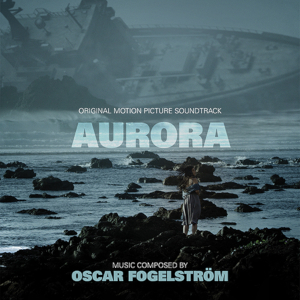 Aurora is the most enjoyable score I heard in 2018. The final minutes of “Rise Up” could easily be made into a wonderful concert piece. 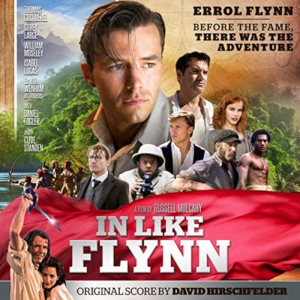 If David Hirschfelder’s score for the Australian Errol Flynn biopic, In Like Flynn, is anything to go by then Flynn’s early life was non-stop (opium smuggler, gambler, apparently). The rhythms of the opening track soon gets the toes tapping and there’s an excitement generated for what’s to come. The orchestra oozes with energy despite the orchestra’s apparent limited size restricting the impact in more action-based sequences. Track after track features exciting action-based music that has an Oriental feel to it courtesy of judicious use of ethnic orchestrations. The up-tempo music is appropriately balanced with more tender music where required and the inclusion of more source-like tracks rounds off a very entertaining score. 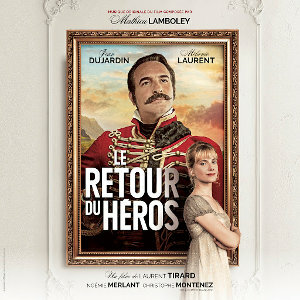 The calling of a French captain to the front during the Napoleonic Wars and leaving his bride-to-be heartbroken is the backdrop to Mathieu Lamboley’s quirky yet familiar score for Le Retour du Héros. The opening theme is catchy and immensely hummable and immediately drew me in to the composer’s world. The quirkiness is generated from the mix of harpsichord and twangy guitar that’s used to great effect in for the theme in the opening track. Added voices gives the score a decidedly spaghetti western feel to it (!) and this feeling is reinforced when the score goes into ‘Cheyenne mode’ (the ‘clip-clop’ theme from Once Upon A Time In The West). It can be a bit distracting but the rest is just so good that it’s forgivable. It’s Lamboley’s main theme that’s the star of the score and his melody lends itself to both the comedic moments and as well as the dramatic. The latter half of the score is a bit more restrained and the delicate feel balances out some of the more exuberant baroque shenanigans. 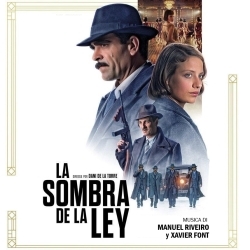 Set in Spain of the 1920s where corruption is rife in all aspects of society, Manuel Riveiro’s score for the Spanish movie La Sombra de la Ley is wonderfully evocative. Wonderful string writing gives the score a very ominous and portentous feel to things and when low strings appear to add even more dark and gloomy I wondered how the composer could make things more dark. Percussion is a strong player in this score also, and Riveiro’s ability to switch between the aggressive rhythms and the portentous strings is very impressive. It’s all done seemingly effortlessly. Composer Xavier Font supplied a few source cues that do break up the feeling established by Riveiro somewhat and I usually have to either program them out or move them to the end of the score. At time of writing, this score has yet to have a commercial release which is a shame as it deserves to be heard by a wider audience. The opening track of Aurora, with a mixed choir singing a capella, is really a musical tour-de-force. The immersive sound and the talented singing immediately draws you in to Oscar Fogelström’s score for this supernatural thriller from the Philippines. It’s one of my favourite tracks – if not THE favourite tracks (the final track comes close!) – of the year. One of my favourite aspects of the score is how the human voice features heavily in the score, and the composer’s talents manipulate their timbre to suit his needs and the choir responds. I find the challenge of the dissonant writing, unusual orchestrations as well as the beautiful passages very worthwhile. “Supernatural thriller” in lesser hands would make for a run-of-the-mill ambient soundscape score but Fogelström is constantly doing something with the orchestra – it may not be melodic but it’s interesting to the ear and is very listenable indeed. A most excellent release. 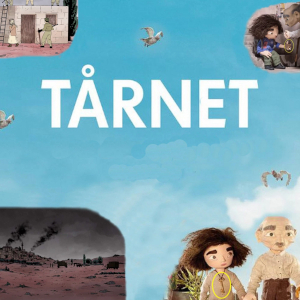 Tårnet‘s subject of the struggle of life in a Palestinian refugee camp as seen through the eyes of an young girl was a rich vein of inspiration for composer Nathanaël Bergese. As I get older I seem to be drawn to scores that have a bleaker outlook, is more introspective (which is surprising since my outlook is usually quite positive!) and Tårnet – particularly later in the score – descends to more darker moments with expressive strings for perhaps the adults, who are close to the young girl, reflecting on their previous experiences. A standout aspect of the score is the initial camp theme and the composer’s infusion of innocence into the score to reflect the story being seen through the child’s eyes. It’s interesting to hear how the score becomes tainted in a way by real life; how the child’s innocence can’t be protected for ever. The small string ensemble that predominates here is very expressive. This is another score that needs a commercial release of some description. Nureyev charts the life of the Russian dancer. The composer uses the orchestra and voices to great effect and does an excellent job at reflecting both the beauty of the culture and dance as well as the tenseness of the politics within Nureyev’s life was immersed. I enjoyed how the Baranowski seems to relish having the score to vary the score between the political backdrop and the – presumably – wonderful footage of Nureyev in action. There’s also a lovely theme for Margo Fonteyn that, in your mind’s eye, you can see Fonteyn dancing to. “Violet Evergarden, a young girl formerly known as “the weapon,” has left the battlefield to start a new life at CH Postal Service…”, IMDB says. 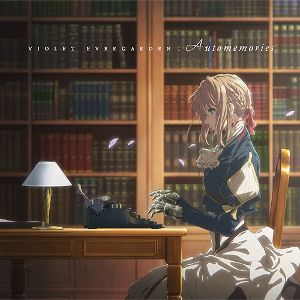 Violet Evergarden opens with a wonderfully wholesome theme (though I have never been a big fan of using a typewriter as a percussion instrument) and is strong enough to be the supporting theme around which the whole score revolves. It’s a beautiful and uplifting composition from composer, Evan Call. The score is a long one but one of the strengths of the score is that it rarely drags despite its length. There’s relatively little dark to go up against the light of the main theme and the accompanying music, but this is my only criticism for what is a very enjoyable score. BattleTech is a strategy-based video game where the player takes control of humanoid combat vehicles. 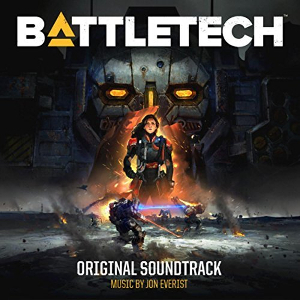 The composer uses the sweeping strings and underlying percussive elements that seem prevalent in so many big video game scores heard today one of the things that is so enjoyable with BattleTech, and which rises it above some strong competition, is the way that the composer pulls it all together and how he embellishes the foundation elements with interesting electronics and solo instruments. This is a long score but the Everist keeps things interesting by using the orchestra (and voices) to great effect. The score isn’t just in-your-face power but has some effective, more delicate passages too. For several years now, music from short films has mainly been the domain of the digital download. However, specialist label MovieScore Media made the bold move and brought together a number of scores from short films for an album release. Marc Timón’s score for the short film, Hathor – set during an interview of a woman in a car – is one of the highlights from than album and is the highlight of music written for the short film format. I particularly like the sweeping nature of the score featuring manly strings, piano and woodwinds. The composer takes these sweeping strings and adds ominous tremolo strings signalling the descent of the score to somewhere else, and reflecting the hidden aspect of the film. As well as being an impressive piece of writing, I enjoy how the score, being based upon a few ideas, lends itself well to being presented in the suite format on the album. Hopefully, this marks the start of a series of albums celebrating the music of short films. 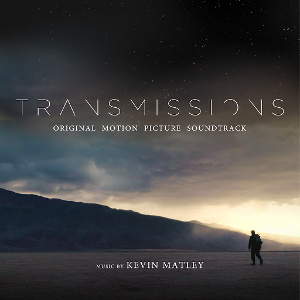 Perhaps better placed in the short film section, Transmissions is a collection of short films made by various filmmakers but featuring music written by one composer, Kevin Matley (who also served as producer for the project). However, the common idea that binds the short films together – all the films are inspired by various aspects of space and the unknown – establishes them as a single entity. The composer’s use of the orchestra and additional elements to create a sweeping journey that reflects the awesomeness of space and the planets isn’t something new but Matley’s approach is very inviting. I find the 7 pieces of music here acting as separate chapters – distinctive pieces in themselves – which are linked to form a cohesive whole (the book). Each film is different and distinct in terms of the genre and theme but they are expertly linked by the composer’s overall vision for the project. 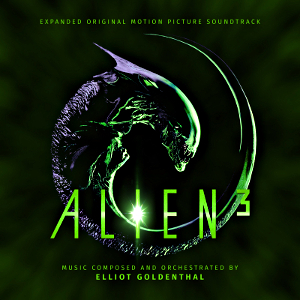 The word was that the chances were slim for a release of Goldenthal’s score for the troubled 1992, Alien³. Goldenthal’s score has always been a firm favourite of mine and the news of the release of this in an expanded and remastered form was one of the score highlights of 2018. This new version highlights just what a monumental achievement the music is, and reinforces the opinion that this is as strong an effort as the music written for the two previous movies of the franchise. It’s a difficult listen but the listener is rewarded: beautiful and monstrous in equal measure this score now has the release that it has richly deserved. Flora (Nathan Prillaman) Pulp Pictures Inc.
One of the great things about following digital releases is that it throws up little gems, usually to movies, TV shows or video games that I’ve never heard of and many of them are from projects from several years ago. 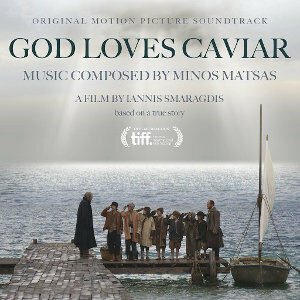 God Loves Caviar is a 2012 Greek movie that moves between the Greek Islands and Catherine The Great’s Russia. The score features an exciting score for orchestra that features Greek-influenced orchestrations. All aspects of the score are worthy of your time and it’s interesting to hear how the composer deals with the different locales. It turns out that, despite moving from place to place, the Greek-influenced music is retained more-or-less throughout the score suggesting that there is a focus on the protagonist’s perspective on things. This is an exciting as well as interesting little score. Thanks so much for mentioning my ‘Dark Highlands’ soundtrack! Much appreciated.